Innovative Defensive Solutions uses conference rooms mostly in and around Fairfax as well as Chantilly and Manassas. However we also travel to host classroom and range locations inside the Continental United States. There are discounts for groups/organizations and individuals that would like to host courses. 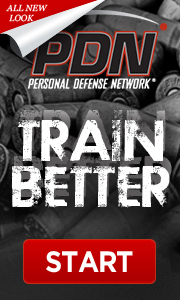 Live fire exercises and the shooting portion for most of our NRA courses are held at Blue Ridge Arsenal in Chantilly or SEG, Silver Eagle Group in Sterling, VA.
Courtyard Marriott 3935 Centerview Drive Chantilly, VA 20151 (703)-719-7900. This Marriott is located just off of Rt.50 within 1/4 mile from the intersection of 50 and 28. It is in the same center as the Longhorn Steakhouse and the Santini’s Deli. Springhill Suites Marriott at 11191 Waples Mill Road, Fairfax, Virginia 22030 (703) 691-7880 ‎. This Marriott is located 1/2 mile from the NRA Headquarters Building and Range. If you have the need to stay overnight the Springhill Suites offers my students a weekend discount at the rate of $79 a day and $109 a day throughout the week. Comfort Inn, 11180 Fairfax Boulevard, Fairfax, Virginia 22030 (703)-591-5900. If the Comfort Inn is not available, classes will be held at another available local hotel. The Comfort Inn is located ½ mile from the NRA Headquarters Building and Range. Other locations are availale. Email us at Info@InnovativeDefensiveSolutions.com for more information or click the “Contact” tab at the top of the page and fill out the form.